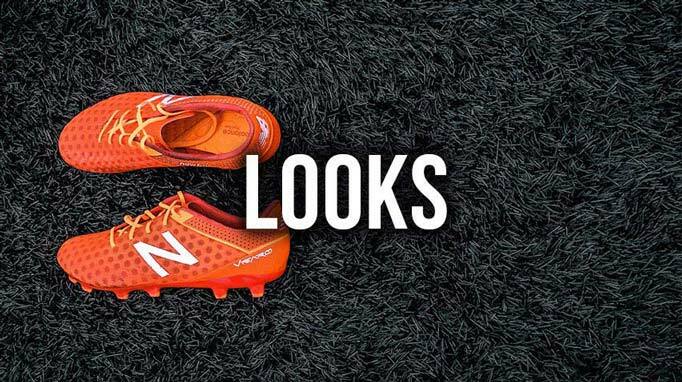 This week the New Balance Visaro landed at FOOTY.COM. After giving them a good road test, we sat down and took a closer look at Aaron Ramsey’s weapon of choice. The New Balance Visaro is an interesting proposition to the football market place. With the likes of Aaron Ramsey, Vincent Kompany and Marouane Fellaini wearing these, it'll surely turn heads on the pitch. These boots were designed to "Make Chances" and have been seen on the feet of defenders and midfielder across Europe. With that in mind this could be seen as a direct competitor with the Adidas Ace, Nike Magista and Puma evoPOWER. So how will this compare with the big players in the football game? When these came out of the box in the office everyone fell in love, they were clean, bright but not outrageous with their design like some boots that have been released lately. This is the most bold colourway of the Visaro, others are Blackout, Whiteout, Blue/White, Dark Blue/Green and Black/White K-leather. New Balance had to create a boot that looked good to attract people away from the bigger brand and they have done this very well. As it seems with New Balance boots, you should go up half a size. We tested an 8UK pair and ended up with blisters (We should have used an 8.5UK so this is our fault). The Visaro is suited to all feet sizes in terms of width, we felt no discomfort due to tightness around the sides of the foot. The insole and sole plate has zero stud pressure and are quite a delight to to wear on the pitch. The upper may take a little breaking in as it can be a bit stiff at first but in no way does it change performance or comfort out of the box. 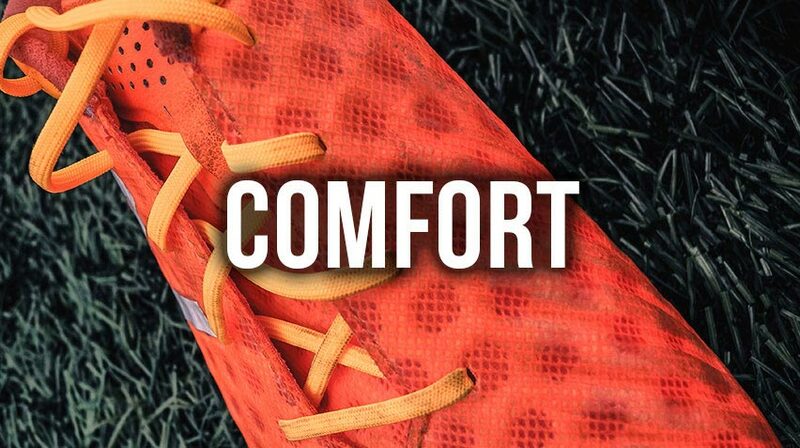 The Visaro has a Pro-form last for unsurpassed feel and unbelievable comfort, Vari-zone Ariaprene upper for incredible ball control. In some ways it reminds us of the original Hypervenom in terms of looks and touch, with that pitted mesh upper it is probably what people imagined the Hypervenom II should have been. 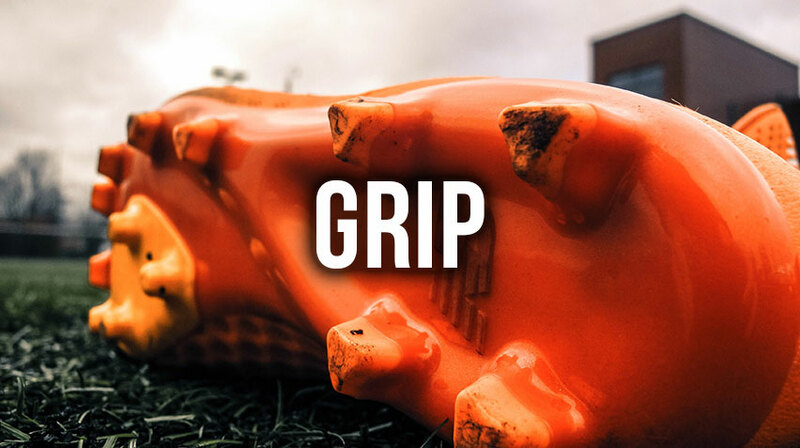 The Visaro seems stickier with the ball at your feet, you can stop a ball dead, play that killer pass. Essentially they are made to "Make Chances". 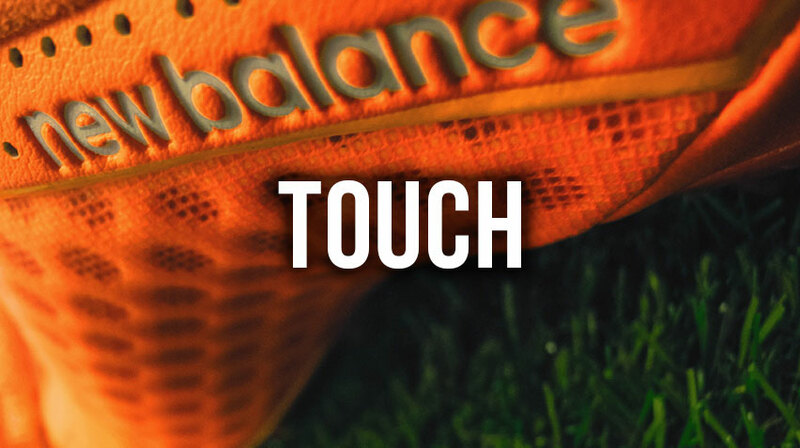 There is a Debossed 2mm sweetspot area that is almost predator-esqe in its design, we did like that and New Balance have delivered a good midfielders boot. 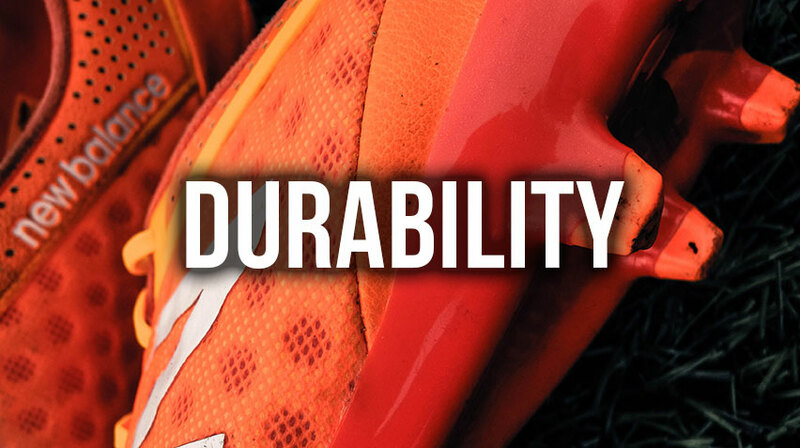 The soleplate on the Visaro features, as New Balance say a "Super-Flex soleplate for exceptional ground contract", but if you do try to flex these there does seem to be a lot of resistance. In terms of movement as it's a little on the heavy side, acceleration and changing direction suffer, you feel you've got to take that extra bit of body movement to move or indeed stop. We felt it was almost a bit chunky in it's feel and could have done with being a little bit thinner. It never gave us any real issues but compared to the competition the soleplate is lacking somewhat. During testing the only issues we saw were slight discolouring from astro turf around the edges of the boot, this is quite normal and there doesn't seem to be any splitting of the sole or the other issues you may find. This boot should last you a season or so without much trouble. New Balance, give yourself a pat on the back. You have created a very good and different offering to the football market and we are happy with that, there are areas that can be improved but overall it is a great boot at a good price (compared to big brands charging up to £200+ RRP). We cannot wait to see what New Balance produce next, this is a great start to the brand and we can see them challenging the likes of Nike, adidas and Puma in the near future! 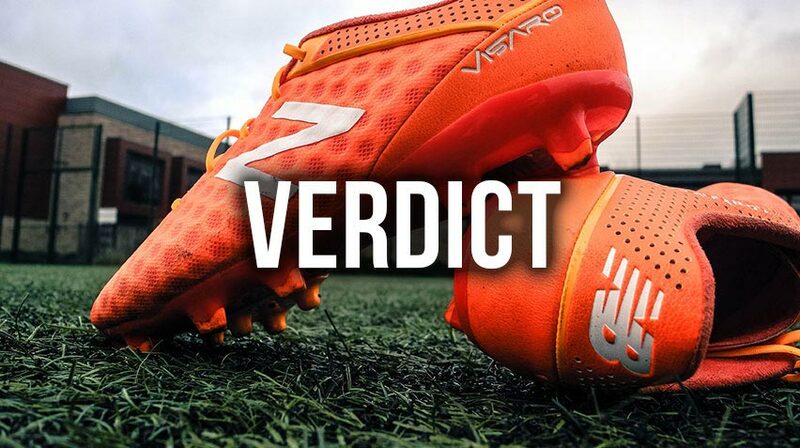 The New Balance Visaro review is done! What do you think of these boots? Got a pair and think something different? Let us know!